The girls want the Government to close legal loopholes which enable older men to marry young girls and want the age for marriage to be raised to 18 for all. 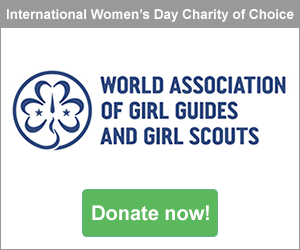 The Girl Guides Association Malaysia believes young girls should be concentrating on their education rather than taking on the role of wife or mother until they are more physically and mentally mature. 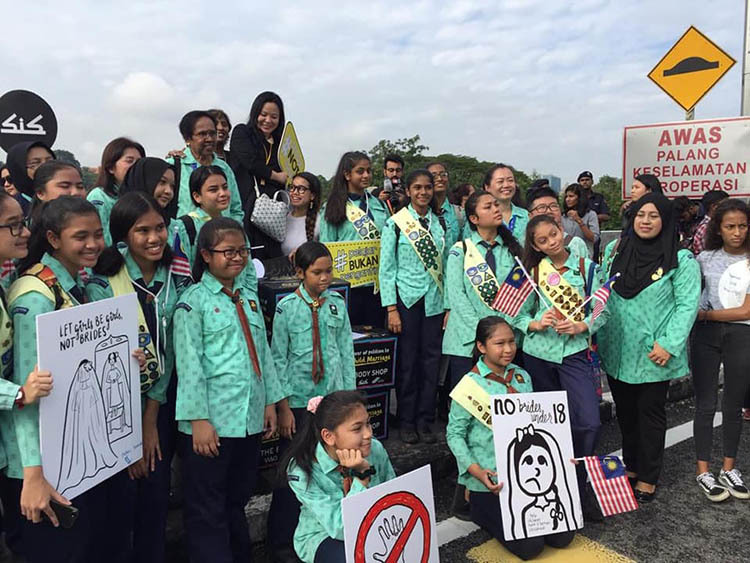 Guides have taken their campaign to the Malaysian Parliament to present an extensive petition to leading politicians and Government Ministers. 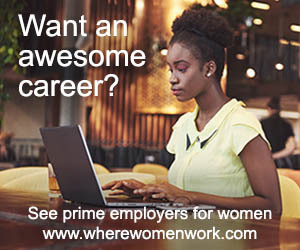 Around 40 girls and leaders from GGAM were joined by representatives of various NGOs outside the Parliament building in the capital Kuala Lumpur. The petition contained more than 156,000 signatures and was handed to the Deputy Minister of Women, Family and Community Development, Hannah Yeoh. Guides handed copies of their #NoBridesUnder18 posters to some of the politicians they met. WAGGGS has supported the efforts by helping the girls to shape a strategy, with Advocacy Manager Jean-Ann Ndow and Global Programmes Manager Nefeli Themeli visiting to deliver training on how to campaign effectively and Head of Asia Pacific, Grace Tam providing support in country.